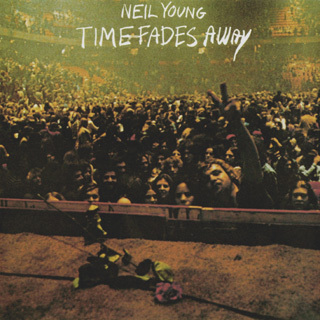 Neil Young News: Comment of the Moment: Releasing "Time Fades Away" on CD - Does It Really Matter Anymore? Comment of the Moment: Releasing "Time Fades Away" on CD - Does It Really Matter Anymore? Thanks rkennke for the comment. Provocative. So. Does releasing Neil Young's "Time Fades Away" on CD... does it really matter anymore? Or can we just retire the petition and be done with and move along? I'm lucky to own a vinyl copy of TFA, purchased in the early '90s used for under $10, with lyrics poster. Even when I had money I could never convince myself to spend more for a used LP than it would have cost had I bought it the day it was originally released. I still play my records, but most of them were either bought new when first released or used for less. As much as I'd love to have a pristine copy of one of Neil's albums on heavy-duty vinyl mastered in the 21st century, as soon as I put the needle down, it loses its pristineness. (I know that's not a word.) I'm not going to spend $25 and up on something pretty I won't risk listening to. Meanwhile, I have a rack full of every officially released Neil Young CD, and the release of On The Beach filled part of the hole between Harvest and TTN. TFA on CD will help complete the picture. Yes, I know it will sound horrible to Neil's ears, but since I'm not getting rid of my beloved used LP, it won't be a sacrifice. And it will be more affordable. Nice comment overall but aside of Shannon theorem and other 'details' I basically think that the quality / genration of masters from which CDs have been generated is the real issue. As for PONO and hires..you know that it's a romantic approach that Neil has to Music in all its embodiments. I'd love this to come out on CD! I'm a 90s kid and my Neil collection is on CD. I have almost every Neil album on CD, so this feels like a hole in my collection. I like vinyl, but CD was the format I was raised with and the format I enjoy the most. I like the clean sound and the convenience is unparalleled among physical formats. All this talk of the demise of CDs is wrong. Look what they said about vinyl in the past ! So are we not going to see Archives Vol 2 on CD ? Neil should get moving and reissue all his catalogue in the format that the majority of his fan base still use - CDs !! We need "Neil Young official release series discs 5-8" on cd. Thank you. I didn't mean to imply that releasing TFA (or any other record) on CD doesn't matter anymore. Quite the contrary. It does totally matter. It seems particularily odd since Neil Young cares so much about audio quality, and still most of his catalogue is still only available on not-exactly-great sounding CDs (and 2nd hand, probably worn out LPs).